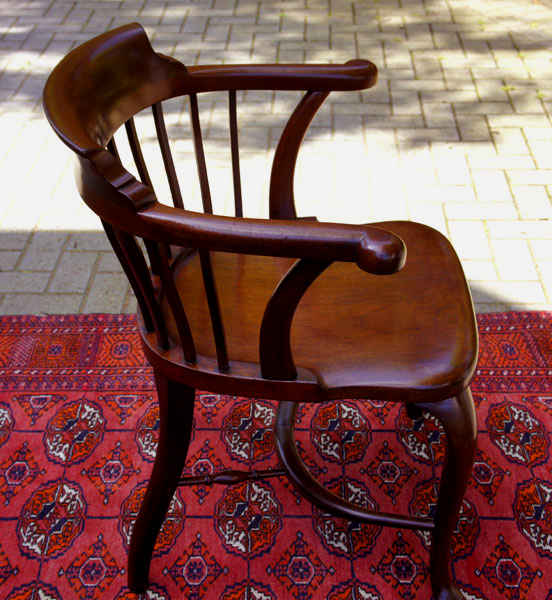 A very good quality solid mahogany antique arm-chair made with horse-shoe shaped basket slat back. This substantial well made antique chair is in very good condition having recently cleaned and wax polished. 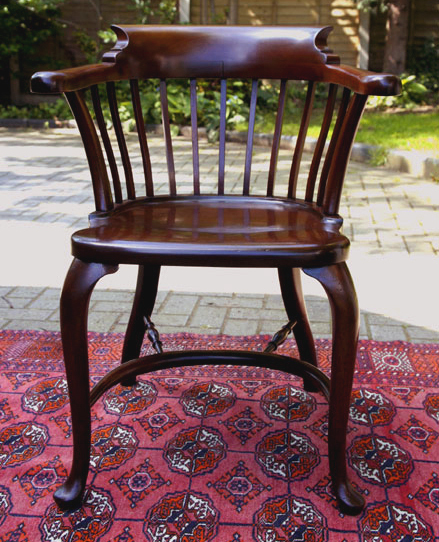 The chair has a solid mahogany saddle seats and stands on cabriole front legs with pad feat and well curved rear legs. The legs are united by crinoline and turned stretchers. 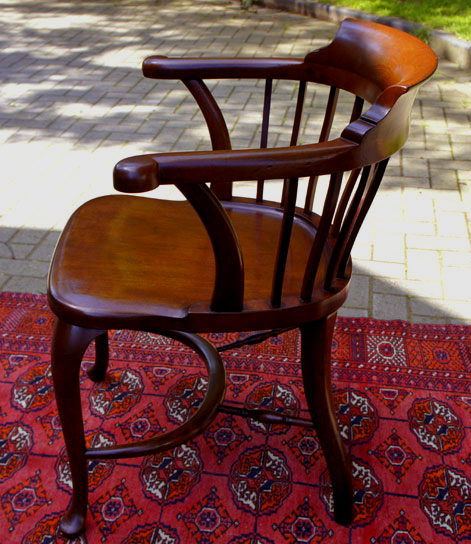 a comfortable and solid desk chair to partner an antique desk. The carved solid seat makes it a very comfortable seat to sit in.